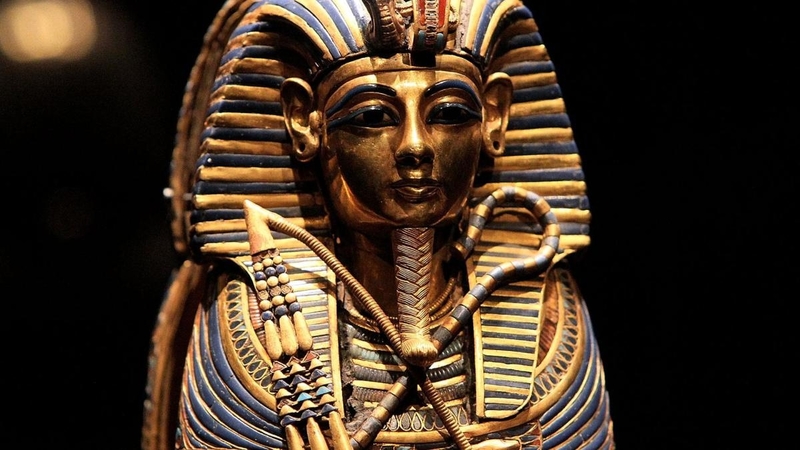 “King Tut: Treasures of the Golden Pharaoh” is an exhibit located at the California Science Center in Los Angeles. The exhibit is open until Jan. 9, 2019. Most morning time slots to visit the museum have already been sold out, and this is the last time the exhibits will be shown before it leaves the U.S. forever and returns to Egypt, where its final resting place is being constructed. Admission fees range from $19.50-$30 depending on age and whether the buyer will be watching the exclusive film that supplements the exhibit. King Tutankhamun, more commonly known as King Tut, was the son of King Akhenaten and Queen Nefertiti. Tut was only king for a decade; his reign was cut short by his tragic death at age 19 from a lethal infection caused by a broken leg. The 3,300-year-old tomb was “discovered” by British archaeologist Howard Carter on Nov. 4, 1922. What most do not know is that Carter was actually led to the tomb by a young boy who showed him the steps leading down to it, which was supposedly protected by a curse that allegedly resulted in Carter’s death. The exhibit is split between two floors and has nine galleries with over 150 artifacts on display. There are four sections throughout those two floors and nine galleries. The first three give an overview of the funeral processes that Tut underwent, and the fourth explains how the tomb was uncovered. The first funeral process is the preparation for burial, and then the journey to the underworld. After that, there would be rebirth to eternity. Some of the main pieces are a lifesize statue of Tut himself, his funeral bed, and a large sentinel that guarded Tut’s Ka, his spirit. In addition to all of this, there is an immersive 3D part of the exhibit, which brings Ancient Egypt to life. The exhibit’s temporary residence in Los Angeles is the final opportunity for people to behold the wonders of the young king’s tomb. The Egyptians believed that an individual truly passes away when the last person to speak his or her name dies, so go to the exhibit, learn and remember for as long as you do, King Tutankhamen lives immortal.